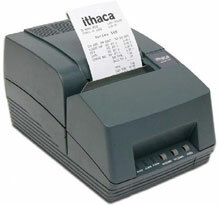 The 153 offers affordable receipt, journal, & validation printing for all of your applications. Black Ribbon Cartridge for 50, 150, and 90PLUS Series Printers ONLY. Single cartridge. The Ithaca 153PRJ11 is also known as Transact Ithaca	153PRJ11	.